Maryland is known as one of the most picturesque states in the country. It’s home to numerous intriguing attractions including the Edgar Allan Poe House and Museum, the Washington Monument, and Fort McHenry along with a variety of national parks. From the gorgeous rolling mountains to the sweeping coasts, you would be hard-pressed to find a place in Maryland that isn’t breathtaking. Places like the Assateague Island National Seashore and Deep Creek Lake State Park are all protected pockets of the natural land. But not all of Maryland is protected, and keeping it picturesque is a huge priority. What’s the best way to pitch in? Renewable energy, specifically solar energy. Maryland has been ahead of the renewable resources game for a while now, much of its progress coming from legislation. This makes Maryland an excellent place for anyone to get into solar panel power. Personal solar power in Maryland is already affordable and getting more inexpensive all the time due to the Swanson Effect (something we’ll explain in a bit). Getting started with energy from solar panels is simple even if it can seem daunting, and we’ve laid out all of your options below with some vital information about why solar energy is for you and the best ways to start your personal solar powered journey. Swanson Effect Graph – Why are is solar energy becoming super inexpensive? There are so many different ways to go solar, and the accessibility of this kind of energy in Maryland means numerous options exist. This can be a bit overwhelming for a consumer, especially when making the right decision is so important. The return on investment for solar energy is insane in the best way possible. 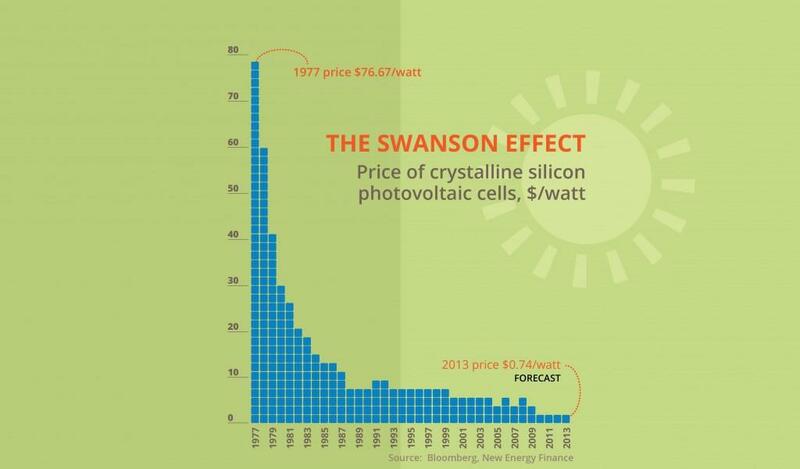 Enter the Swanson Effect, something that happens when production of solar panels increases causing the price to decrease. 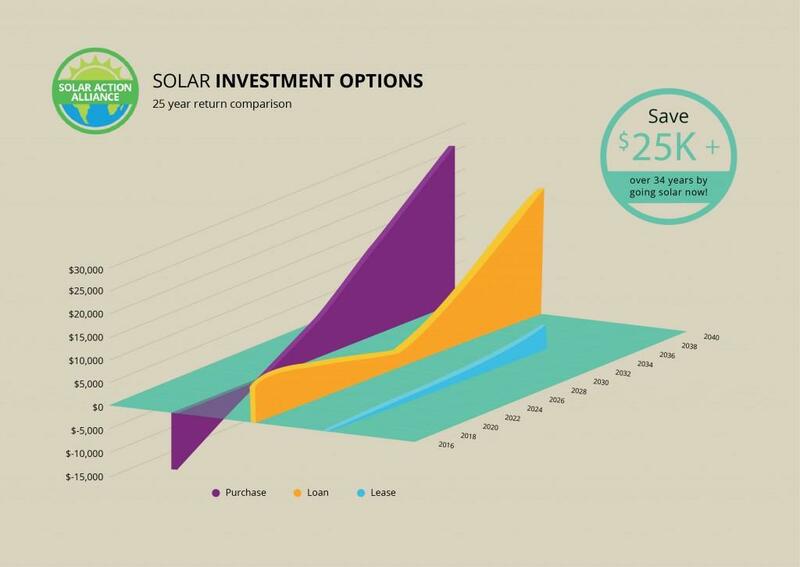 As you can see from the graph above, costs for solar energy have changed drastically over the last few decades. It’s not the ridiculously expensive venture most people imagine it to be. The more people that invest in solar energy and the more solar panels that are produced, the lower the cost of acquiring this resource. This means that solar energy will just get more and more inexpensive the more accessible it is. As we’ve mentioned, solar power is already abundant in Maryland. Maryland may be one of the best places in the country for solar power, but as a consumer you still have to figure out how to pay for it. There are three tried and true ways pay for your new solar panels: leasing, buying, or buying on credit. Because Maryland is so ahead of the curve in this area, personal savings become momentous over time. Here is an in-depth look at three ways to pay for your solar energy once you’ve decided to make the switch. Leasing a solar roof is an excellent way for most people get their solar fix. A lot of people don’t have an abundance of wealth stacked up to be able to afford outright cash payment, and that’s okay. 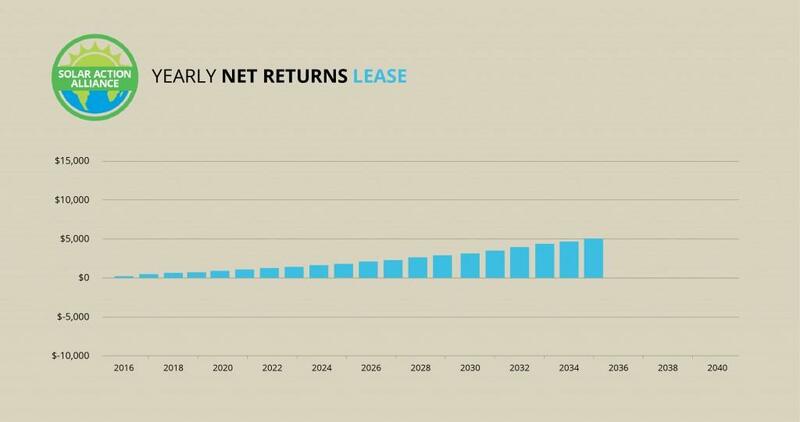 That’s why leasing is so ideal. And since Maryland is so good about championing renewable resources, most utilities companies won’t charge surprise additional fees for the use of solar power. Maryland is a bit unique in this regard, and the peace of mind from this knowledge makes leasing in Maryland one of the better options. Leasing a solar roof is a lot like renting a house or apartment, except you’re just renting a roof. True, leasing means you lose the benefit of owning your very own solar panels. But the monetary benefits come in when you consider that you’ll have no huge up-front sum or ridiculous down payment, and you’ll obtain your own into solar panel system and have a decreased utility bill. Even paying for your new utility bill plus the cost of your lease combined will result in paying less money than for your previous utility bill. That’s a win all around, if you ask us. Still wondering about that Swanson Effect business? We figured you might be. Buying a solar roof all at once can be a scary thought. Yes, it’s still expensive when the price is lumped together at one time despite the promise of future returns from the Swanson Effect Graph. But this option is what makes the Swanson Effect Graph the truest for consumers. 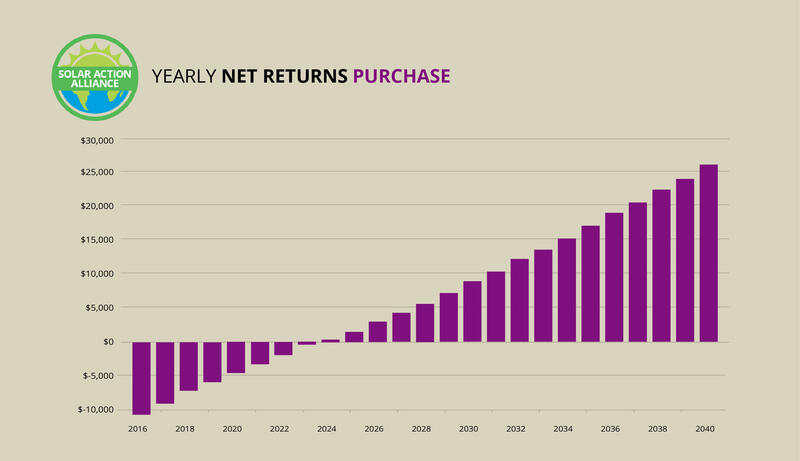 Consumers can see a return on investment of up to or more than $26,000 in the period of time shown in the graph. This means that your solar paneled roof will actually make you money! How does it do that, you ask? It does it by offsetting the major monthly costs of extremely expensive Maryland electricity (seriously, it’s one of the most expensive states when it comes to keeping the lights on). It also makes you money because of Maryland’s unique certification system called SREC. This means that whenever your solar roof produces a certain amount of solar power, you’ll be compensated for it by your utility company. If that isn’t enough incentive to buy outright, we aren’t sure what is. A good in-between for buying a solar roof with your own money and leasing one would be buying on credit. All this means is taking out a loan, which is pretty easy as long as you have a good amount of home equity. 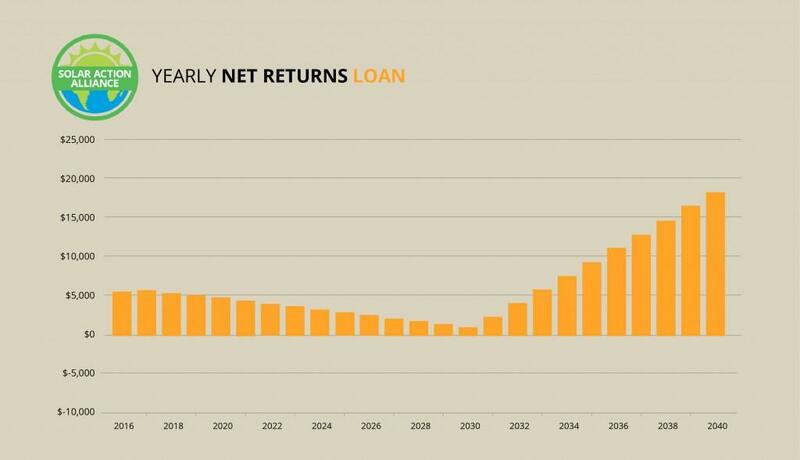 Taking out an $17,000+ loan might seem just as intimidating, but there’s basically no catch because solar energy is on the rise all across the country. In Maryland, there is virtually no risk in taking out this loan because the state is already so supportive of solar power, and they will continue to be supportive. Even though it might not seem like it, there is very little to worry about when it comes to using a loan to invest in a solar roof. Remember when we mentioned that Maryland passed a law back in 2001 that started Maryland’s amazing track record with renewable energy? Well that has to do with Maryland’s RPS, or Renewables Portfolio Standard. 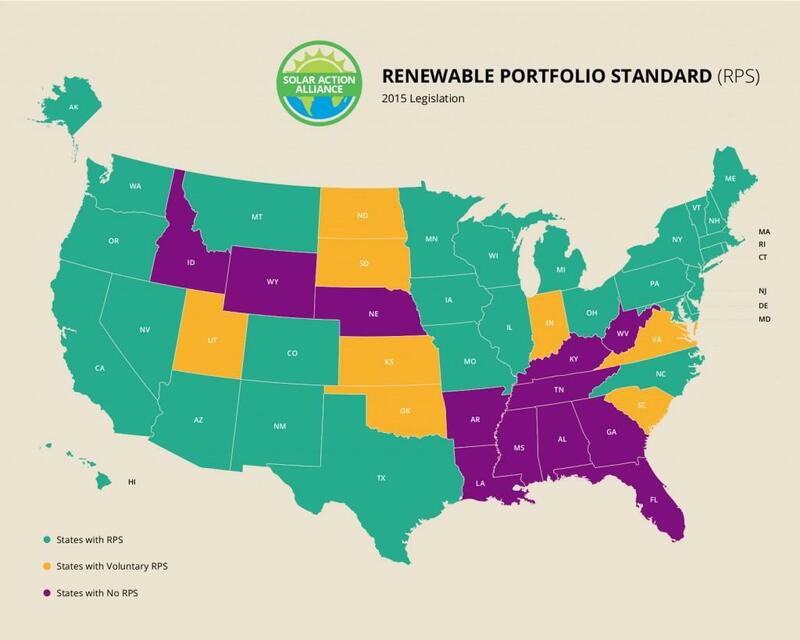 An RPS law ensures that businesses and homes in certain states source part of their energy from renewable resources (like wind turbines or, you guessed it, solar panels). By 2020, Maryland hopes to have 20% of their energy coming from renewable resources, and that’s why solar energy has become such a huge deal. Solar requirements were specifically added to the state’s RPS a few years ago, setting up the incentive program in the SREC we mentioned earlier. 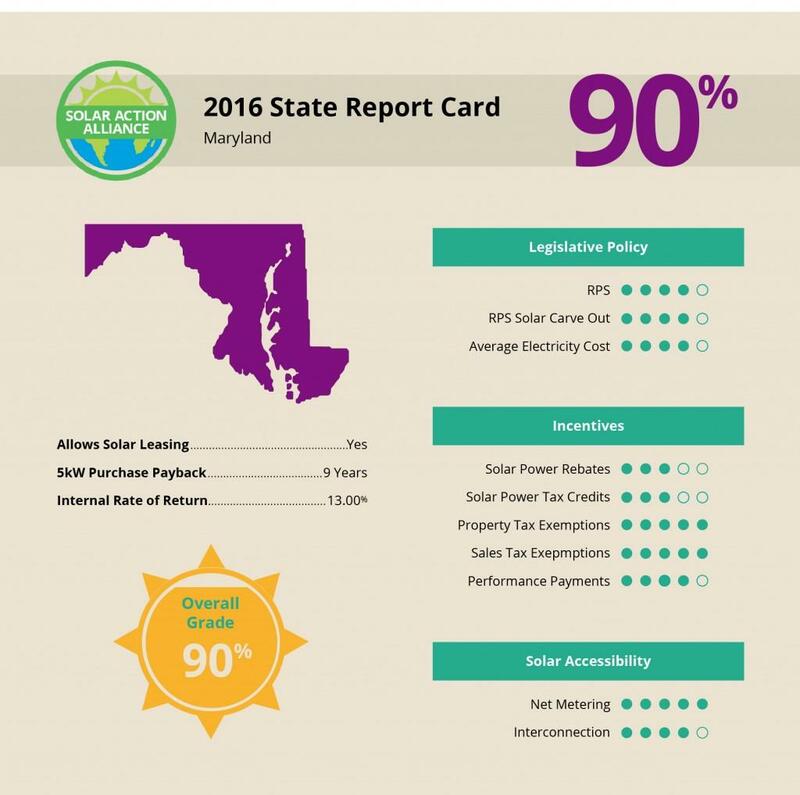 Maryland’s large RPS goal further shows just how perfect a place Maryland is for investing in solar energy. Not quite convinced? Well if you subscribe to the grading system, you should be pretty pleased and impressed to discover that Maryland has an A in the solar energy world. It’s not just private homes investing in this kind of energy. Notable institutions like Mount St. Mary’s University are going solar. Even big name businesses like Walmart and Verizon have jumped on the bandwagon. Ever since 2007, Maryland has surged forward, refusing to become complacent about their goals. The state has seen huge strides in 2011 and 2012 to expand their solar panel reach. In most criteria such as tax exemption, power performance, and solar cost, Maryland ranks among the best in the nation. There are few better places than Maryland to invest in solar power, so what are you waiting for?